The world has cheered the Iraqis’ victory in Ramadi, but ISIS is far from defeated. The last seven months of serious combat operations and airstrikes have finally borne fruit. As of the end of last year, Iraqi forces have recaptured the city of Ramadi from the Islamic State. In a press release on Dec. 28, US Secretary of State John Kerry applauded the Iraqis for displaying perseverance and courage in the fight against ISIS. Ramadi, the capital of the province of Anbar, was taken by the Islamic State in May of 2015 after ISIS fighters overwhelmed Iraqi forces, forcing them to retreat. Soon after, the prime minister of Iraq, Haider al-Abadi, proposed a counteroffensive strategy to the Global Coalition to Counter ISIS, which they supported. The successful execution of Al-Abadi’s plan allowed the Iraqis to regain control of former government-owned buildings in Ramadi. This victory came as a big blow to the Islamic State, especially following their recent losses in the cities of Baiji and Tikrit in Iraq and Al-Hawl in Syria. However, it may be too early for the international community to celebrate this win, as ISIS is a well-funded, highly-structured organization still operating in many other locales. Their stock of resources is too enormous to be so easily washed away, and the loss of Ramadi may not necessarily mean their defeat. 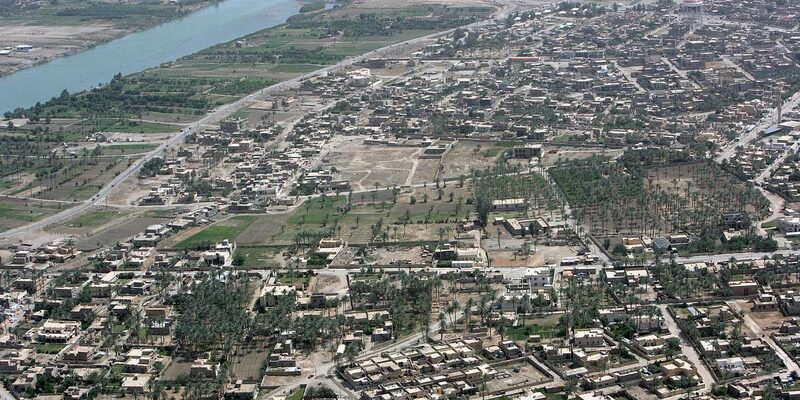 As of this writing, Iraqi forces are said to be in control of about 75 to 80 percent of Ramadi. Some places in the suburbs and on the outskirts of the city are still controlled by ISIS members, and outside observers fear that militants are continuing to terrorize innocent members of the population. Following the recent successes at Ramadi, the international community has been crossing its fingers, anxious to see just how well the Iraqis can resist pressure from ISIS and other militant groups. Authorities on the region have warned that the fight against ISIS is yet to be won. Iraqi forces must now conduct a cleanup mission to secure the areas of Ramadi still held by ISIS. These troops will need to sweep the city in search of hidden explosives and booby traps that may have been set by militants during combat. But the government of Iraq will also need to focus on rebuilding the city’s infrastructure to its original capacity, to allow displaced persons to resettle. Some cities in Iraq are still run by ISIS, and Mosul is one of the biggest. Taking back Mosul from the Islamic State could majorly set back the group’s operations in Iraq, as Al-Abadi had promised to accomplish. In the meantime, it would be wise for the Iraqi government to consider revising its constitution, such that members of both the Sunni and Shi’ite tribes are assured government positions. The Iraqi government is dominated by Shi’ite Muslims, Al-Abadi being one of them. It would be only fair that Sunni Iraqis, including the tribal fighters that helped to expel ISIS, be assured of their stake in the government. In a bid to win Sunnis over, Al-Abadi has promised to leave Ramadi under the control of local police and Sunni tribal security forces. It is hoped that this move will also bring stability to Ramadi, as many members of the Sunni community do not trust Shi’ites – a problem, given that Shi’ites comprise the majority of Iraqi forces. Some Sunnis are thought to favor the ISIS militants – not because they share ISIS’ goals, but because they feel that they have been denied their right to governmental representation. Because of this, the Shi’ite-dominated Iraqi police force could start treating Sunnis as Islamic State members and sympathizers, rather than continuing to protect their rights. To resolve these tensions, it is important to begin the process of healing ties between Iraqi Sunnis and Shi’ites. Those members of the Sunni community who oppose ISIS should engage in a dialogue with their counterparts who support the militant group, in order to stop a possible sectarian conflict. As the war’s epicenter moves to Mosul, Congress has already allocated $1.6 billion to the Iraq Train and Equip Fund (ITEF). $1.2 billion was assigned to the Iraqi Security Forces, while $24 million was awarded to the country’s tribal security force. Despite Kurdish fighters’ significant successes against the Islamic state group, a high-ranking Kurdish official in the U.S. told the Huffington Post that additional support is needed from coalition nations. However, they managed to cut off a major supply route between Mosul and Raqqa – a move that, in concert with reinforcements from the global coalition, may be enough to reacquire Mosul. Dislodging ISIS militants from the city would be a severe blow to the terrorist group, as they would no longer have income from taxation and revenue from oil trade there. ISIS will do everything in their power to retain control of Mosul, as they cannot afford to lose such a big source of funding. However, Mosul is also reported to be the biggest area occupied by ISIS in Iraq, and it is situated in an area where militants from both Iraq and Syria are stationed. If ISIS fighters from these two countries combine forces to fight back against the Iraqis, they could cause serious harm to the city and its people. Retaking Mosul may take another year or more. But ISIS still has many resources at its disposal, and continues to operate many countries in different parts of the world. Through its alliance with Boko Haram, the group has already entered Nigeria – the largest producer of oil in Africa – and is looking to control oil trade. ISIS has also had significant success in acquiring resources in Saudi Arabia, Libya, Yemen, Egypt, and Pakistan, and it retains power in Iraqi and Syrian cities such as Fallujah, Raqqa and Palmyra. The world has cheered the Iraqis’ victory in Ramadi, but ISIS as an organization does not lose much from losing control of Iraq and Syria. They still have a great many sources of funding to advance their agenda, and the world will need to wait to see if Iraq can contain ISIS, even with the support of the United States and other countries. Khairuldeen Al Makhzoomi is a researcher at the Near Eastern Department of UC Berkeley. He is majoring in Political Science and Near Eastern Languages and literature, and is currently working on his honor thesis, "Obstacles to National Reconciliation in Iraq." He also founded the popular "United 4 Iraq" Facebook page, and writes for both the Berkeley Political Review and The Huffington Post.